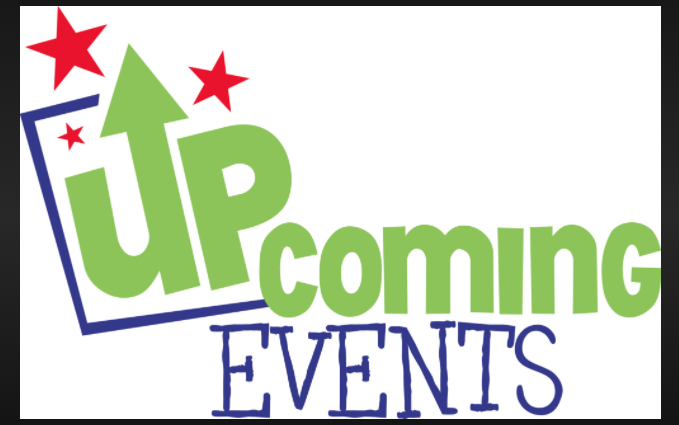 Below you will find some recent highlights as well as a look ahead to the happenings in April! 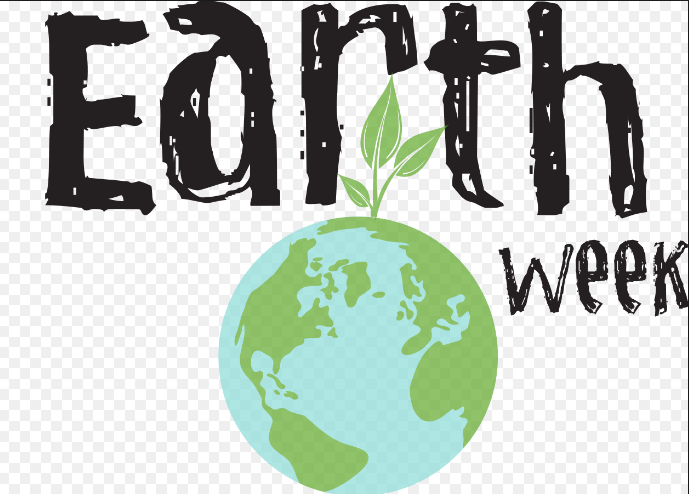 4/11, Wednesday, D44 EARLY RELEASE DAY, Students dismissed at 1:15 p.m.
4/12, Thursday, WHS Kindergarten Orientation, 6:30- 8:00 p.m.
4/27, Friday, WHS Talent Show Rehearsal 3:15- 6:00 p.m.
4/30, Monday, D44 Gr. 4-8 Spring Band Concert @ GEHS, 7:00 p.m.
Below you will find the most recent "WHS Starcast" Episode. This is the March 2018 episode. 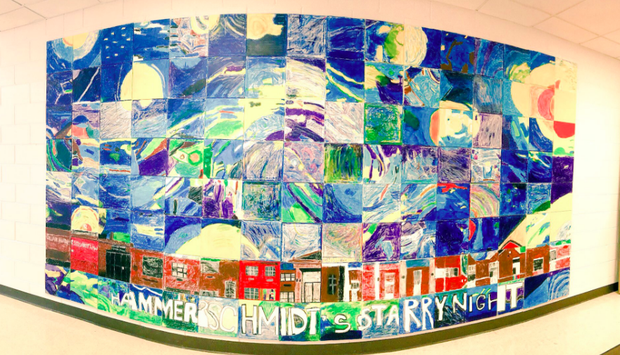 In March, our Star Constellations groups created "Hammerschmidt's Starry Night". Our art selection was broken up into 128 squares. 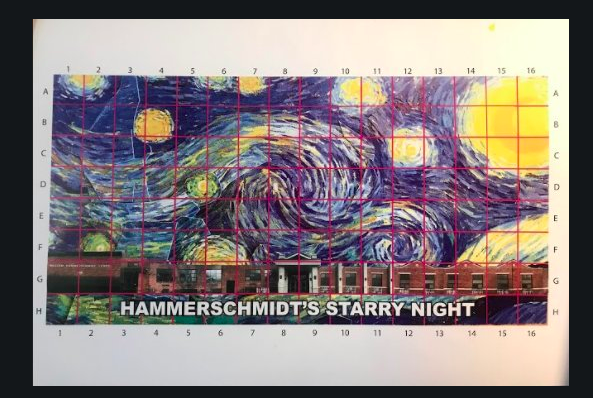 Each group was assigned 4 random squares and then all of the square canvases were brought together to create a schoolwide display. Ask your child(ren) which squares they helped to create. 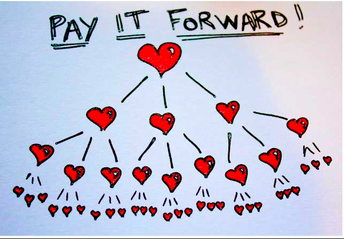 Our team is planning an April lesson centered around random acts of kindness. Students will be given some time to plan and execute a chosen act of kindness for a fellow WHS student. 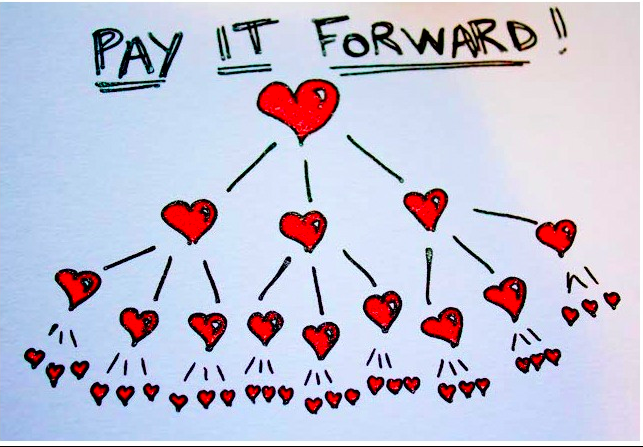 A "Pay it Forward" challenge will all be issued at the end of the lesson. This next Star Constellations group meeting day is on our April 11th Early Release Day. Grade 3, 4, and 5 students will completing Math subtests in the next couple weeks. For details on the testing schedule, please click on the link below. Do not hesitate to ask your child's teachers any questions that you may have. 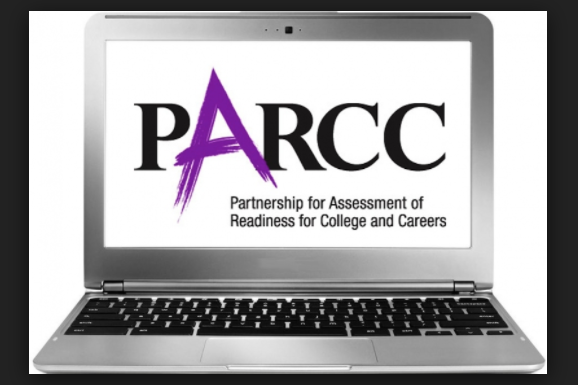 PARCC Testing will take place in the WHS LRC and involves student in grades 3, 4, and 5 only. 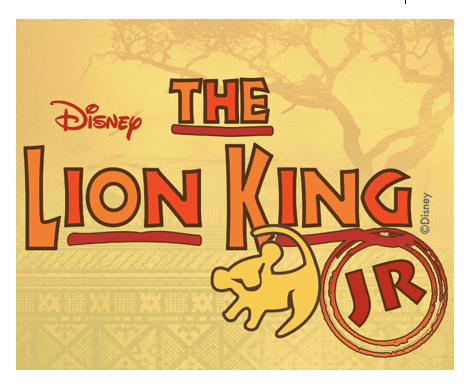 GWMS Drama is performing the musical, “ Disney's Lion King, Jr. “ on April 19th and 20th, at 6:30 p.m., and April 21st at 2:30 p.m. The registration site for the race is now live. Use the link below to sign up for the race! 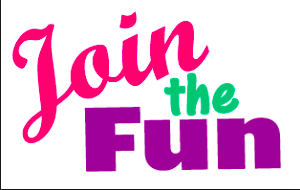 You will need to fill out a separate form for each participant. If you do not want to run in the race, but still want to participate and be a part of this event, please consider volunteering! Use the link below to sign up to VOLUNTEER! 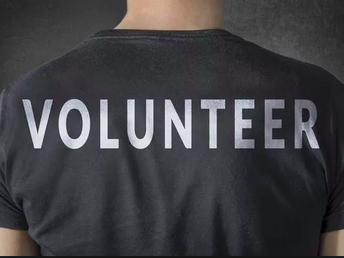 Click here to VOLUNTEER for the Stars and Spikes Event! 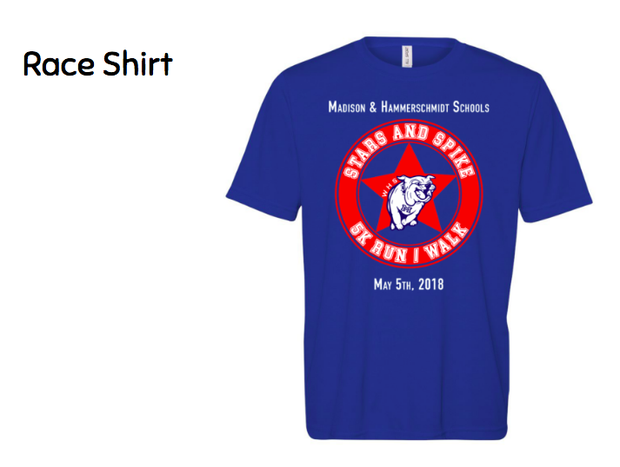 In order to guarantee a race shirt for race day, students and parents need to be registered by April 13th. You can register after this date, however, we cannot guarantee you will have the shirts/ correct size by race day. We will have extras, but when they are gone, they are gone. We can place an order after race day, but you will not have your shirt on race day. 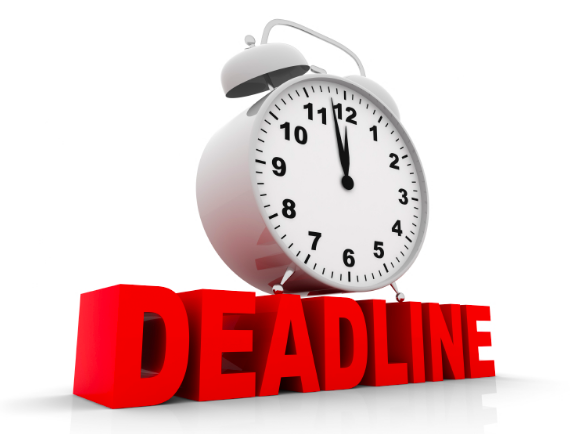 The best way to guarantee your T-shirt by race day is to register before April 13th! Check Out This Great Parent Resource! The Glenbard Parent Series presents a great line up fo FREE sessions for parents. The speakers for April are pictured below. 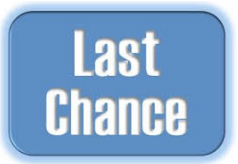 Click on the link below to see more details and get a complete listing of the remaining sessions for 2018! If you have an incoming Kdg. student, please attend our WHS Kindergarten Orientation. This event is for you and your incoming kindergarteners. 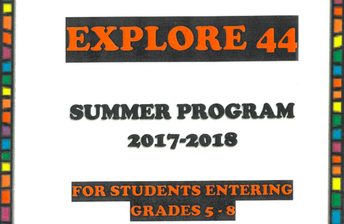 During the presentation, our WHS Staff will lead our future students through a variety of activities. Please encourage your WHS student(s) to do one last look through the "Lost and Found." All unclaimed items will be donated at the end of next week (Friday, 4/13). Do you want to see some snapshots from the past few weeks? Click on the red bar below to view recent staff tweets! 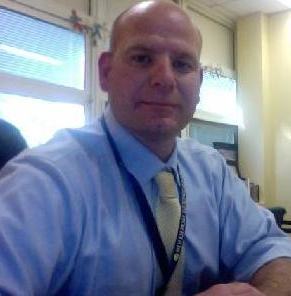 Click HERE for Recent Tweets from WHS! 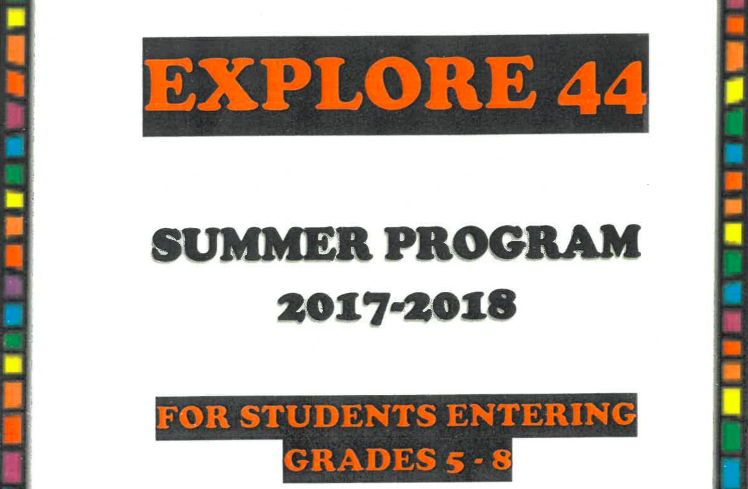 D44 has a new summer program for student entering Grade 5-8. Check out the information below.